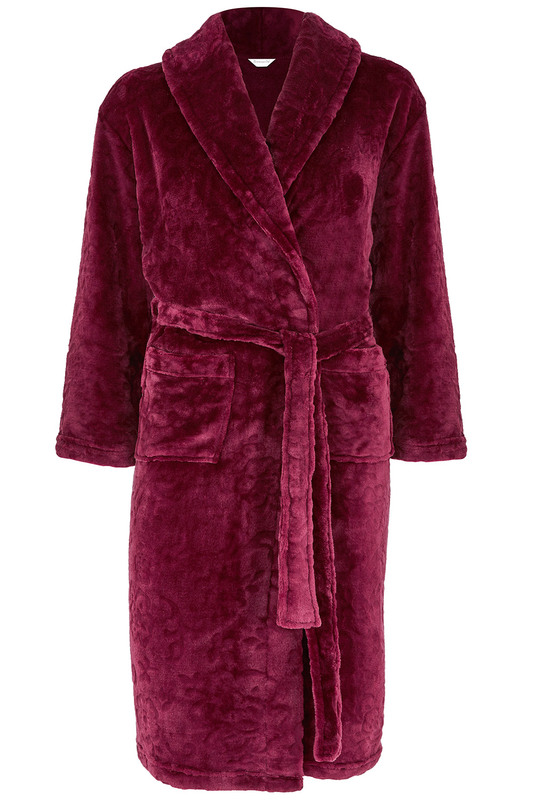 Indulge in a little bit of luxury with this Bordeaux-toned, jacquard dressing gown. 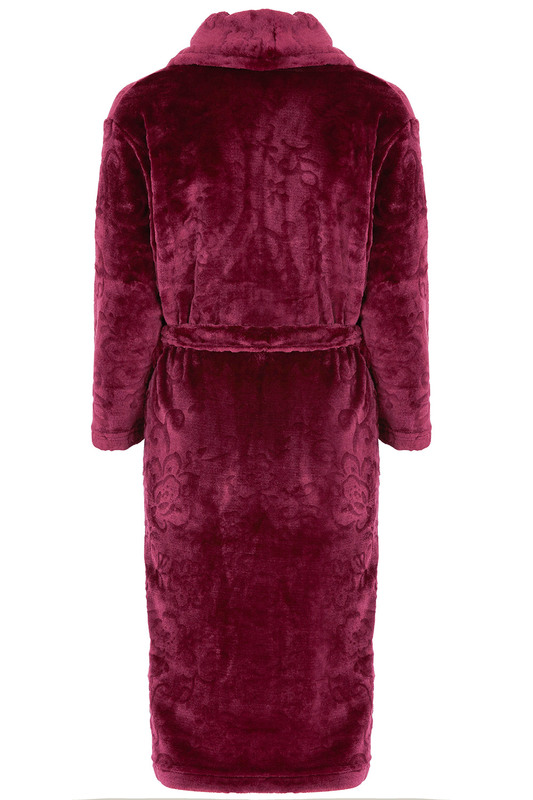 The luxuriously soft material is extra thick, perfect for chilly winter mornings and evenings. With long sleeves, a tie waist and deep pockets, the gown is ideal for layering over some fluffy pyjamas. The embossed rose design completes a pretty and feminine look.